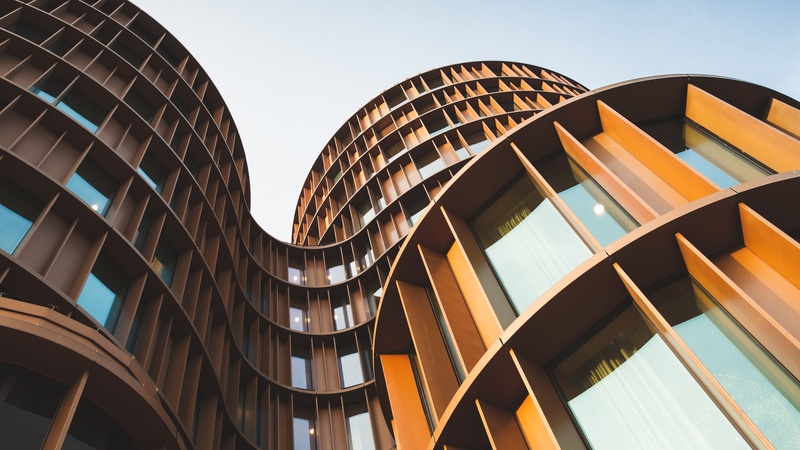 HGA, a design firm specializing in architecture and engineering, fosters inspiration through impactful, enduring designs. For over 60 years, the firm has been developing gorgeous, innovative and sustainable designs for a variety of markets, ranging from corporate and healthcare to education and government. HGA employs more than 750 people across eight offices from coast to coast, devising striking designs that make a meaningful impact for their clients. After a major rebrand, HGA reached out to Westwerk for help with building a responsive WordPress site that clearly reflected the brand’s fresh look and perspective. HGA’s original site featured many complex layers that made navigation difficult, hampering its accessibility and overall user experience. As a result of the rebrand, the site’s content and design failed to convey HGA’s refined visual and cultural identity, causing a disconnect in brand messaging and sales enablement. The previous site also featured suboptimal search and SEO management capabilities, making it challenging for the brand to attract relevant traffic. Using a robust discovery session, we collaborated with HGA’s team and key stakeholders to define the client’s primary target audience. Through user personas and customer journey mapping, we gained key insights to guide the creation of HGA’s new and improved UX. After diving deep into HGA’s website feature set, we developed a comprehensive strategy to develop their new web build. Our goal: Create an easy-to-use WordPress site that engages and converts users across HGA’s wide selection of markets. 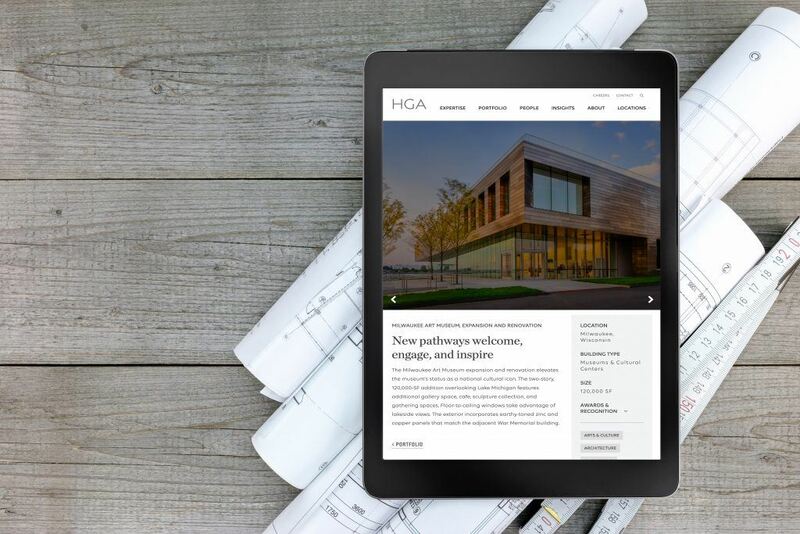 On the front end, HGA’s overhauled website focuses on delivering a seamless navigation experience for users—regardless of the industry they serve. The site’s revamped design makes it easy for potential clients to explore the firm’s industry insights and exceptional portfolio of designs, driving engagement and conversions. The new and improved hga.com acts as a resource for HGA’s employees and sales team, too. Team members can use the site’s blogs, news articles and location pages to demonstrate HGA’s culture, insights and innovations—supporting their pitching and recruitment efforts. 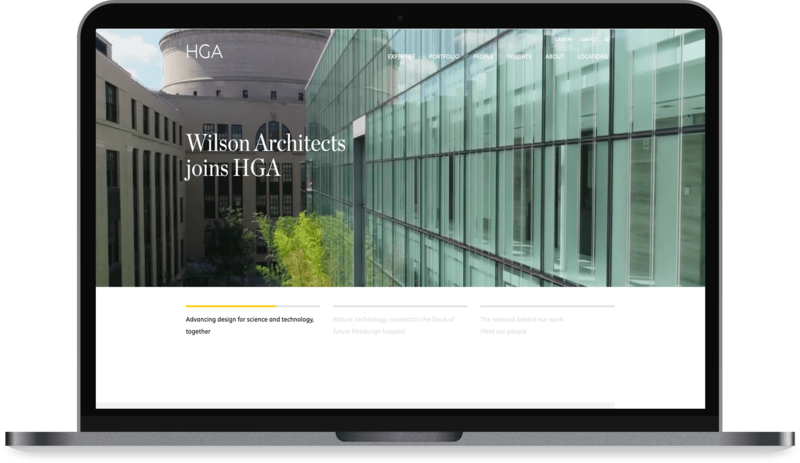 Last but not least, HGA’s new website features modernized branding and a highly adaptable structure—empowering the brand’s internal team to add and alter content quickly without adversely affecting its UX or flow. On the development front, we delivered full support for both the front-end and back-end code of HGA’s theme, including all its designed templates, components and modules. HGA’s site also features iCIMS, Google Analytics, SEO redirects and other essential integrations. Thanks to these efforts, HGA’s internal team can effortlessly add new landing pages to bolster its marketing campaigns and nurture leads further down the sales funnel. By employing bold imagery and compelling copy, HGA’s new online platform perfectly showcases the brand’s talent for weaving impactful stories that inspire. HGA.com now conveys the expertise, passion and capabilities of the HGA team, positioning the multidisciplinary design firm for long-term success. Interested in creating a gorgeous yet effective website for your business? Then don’t hesitate to call or message Snap Agency. Our team can provide all of the digital marketing services your organization needs to ensure long-term business success.